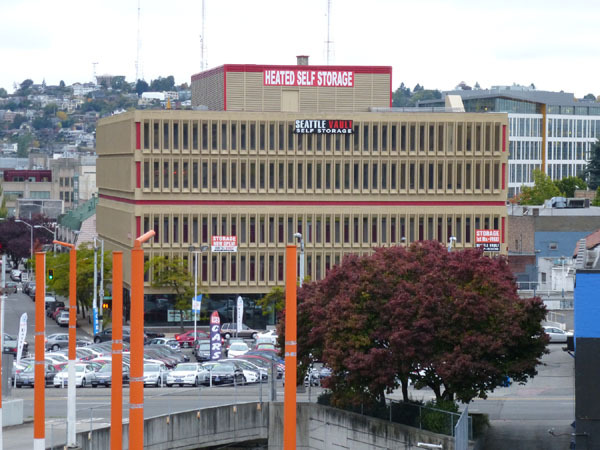 How is it possible that self storage could be the best use of an office building located one of the hottest real estate markets in the country (notice the new Amazon building in the background)? Seattle’s current average rental rate for office is $2.33 per square foot per month. In comparison, a 4×5 storage space at Seattle Vault goes for $60/month, which is $3 per square foot. Their larger spaces rent for less per square foot, and sure, the building is a dog, but the remarkable reality seems to be that even in a high rent big city downtown, storing people’s excess junk can be economically competitive with storing screen-staring office workers. Stuff is us. Photos by the author — click ‘em to enlarge. This post is part of a series. 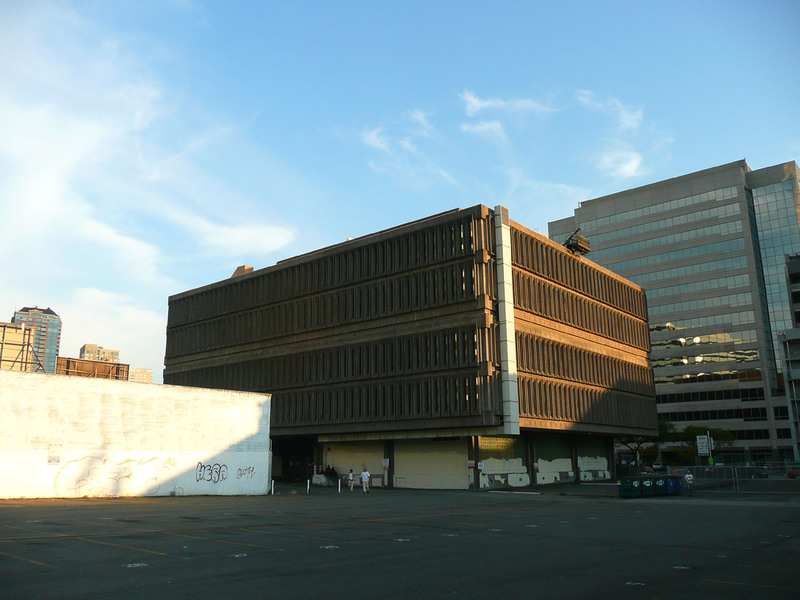 how about a poll for SEattle’s ugliest building? I always assumed downtown storage buildings were just marginal profit generators for real estate moguls waiting until land values increase. I’m surprised that they actually make money on their own. Now I can’t help imagining a skyscraper storage structure. Too bad those cargo elevators are so slow. Yeah I’ve always found this a little sad too. Building such as the old Ford Motor Co. in SLU, a couple buildings on 12th on The Hill, and the big old storage facility that surrounds Roros on Stone. All these are high value places that could be lively and productive spaces, but unfrotuantely just store stuff. On the optimistic side, you could look at it as a necessary part of the transition from larger homes and lots, to smaller ones.